The Light Funnel series is an alternate worlds fantasy with elements of flintlock fantasy. Perhaps you could call it science fantasy too. It’s currently planned to be four books, but given it was originally supposed to be one book, you never know. Two are written and two are in progress. A father in despair. An ancient destiny. A darkness that can change everything. Fear has kept ancient enemies apart for centuries, but the Archbishop has made a discovery which will overturn the balance of power. Falling between worlds, young Charlie Denham and his father Richard find themselves on opposite sides when war looms. The descendants of lost crusaders now face a decisive conflict with the Delf who wield demons of fire. As darkness pours from the earth and armies gather, Richard and Charlie will face the nightmare from a lost past which threatens to consume both worlds. They must find each other, and escape the approaching storm, if they are to have any hope of staying alive or returning home again. In dreams, something is stirring. Eight years have passed since the events described in Light Funnel. An uneasy peace has existed between the Order and the Delf. Now, rumblings of dissent threaten a return to war. Inspired by dreams, Jack Silver searches for the descendants of the adventurers who left Outreterre centuries before and never returned. With their help, the Delf could be overthrown forever. Former adversaries Berwick, Rodon and Raul secretly follow Silver and his protectors across the sea; Solimo, still haunted by his experiences, is about to face his greatest fear while a footloose Charlie Denham will soon be fleeing for his life from forces he does not understand. For an old enemy has found a way out of Limbo and will stop at nothing to purge the worlds. When he returns, a great city will burn and a society will be torn apart. Only a fragile web of alliances, old and new, stands before the terrible new power emerging from Limbo. 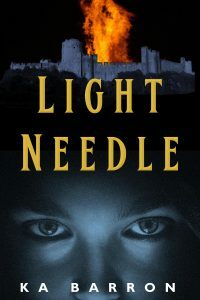 In this second book in the Light Funnel series, multiple storylines weave together culminating in a climactic confrontation. The Delf have always been great storytellers. Here are the stories that Solimo tells himself in an effort to remain sane. This collection includes tales from both before and after the coming of the Order. 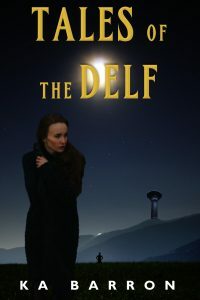 Written in a range of styles from the tragic to the comic, they provide background to the culture of the Delf. 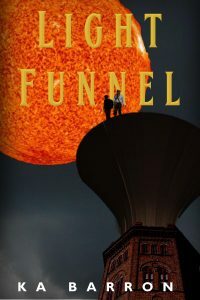 Best read after Light Funnel, you can get this book free if you tell me where to send it.